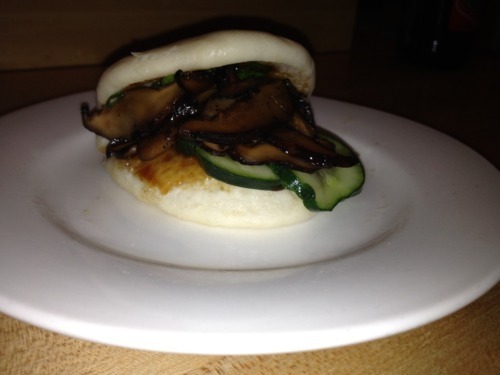 Momofuku’s shiitake bun, perhaps the most comforting, delicious food you will ever eat. Alex polished his off in the 5 seconds it took me to snap this photo. Before and After: Alex’s favorite, chilled spicy noodles with sausage, candied cashews, and spinach leaves. Before and After: Duck ragu with poblano chiles, cilantro, red onion, and a fried egg, over flat noodles.